University of Nevada, Las Vegas - Greenspun Hall | TROX USA Inc. Sustainable features of Greenspun Hall include a TROX chilled beam system, an energy-producing canopy, low-flow water fixtures and a design that reduced light pollution. The building houses the University's College of Urban Affairs which includes environmental studies, social work, journalism, public administration, criminal justice, communication studies and marriage and family therapy. Active chilled beams Type DID602 were installed in classrooms and offices, with an expected annual cost savings of nearly $83,000 per year. The design and construction of the building included a photovoltaic (PV) array, occupancy sensors to turn lights off when rooms are unoccupied,water-efficient landscaping, sustainable site design features, and recycled materials. The 120,000 square foot Greenspun Hall achieved LEED® Gold certification and remains a focal point of the University's sustainable efforts. 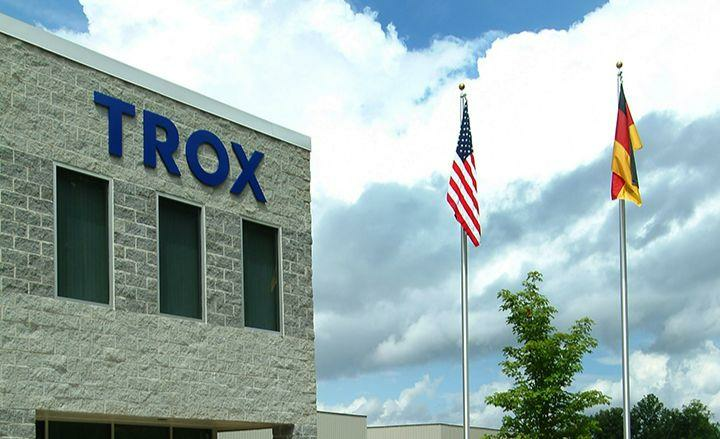 2019 © TROX USA Inc.